Your passport is the holy grail of all documents that you can hold in this lifetime. Once you have it last for years and has to be maintained in immaculate condition. Travelling with key travel items is a task, when you are rushing through terminals and countries. Being organised is the key to being a frequent traveller. You learn along the way on what the essentials are to pack and how to pack. If there is one thing I need to keep together are my travel documents and passport. So its great to invest in a good one that is sleek yet versatile. What is even better is if it looks stylish. And to top off is personalised. Here is my take and first impression of the passport holder. This was the surprise element…It came in a classy box with their branding on it. Inside was a canvas drawstring pouch and the genuine leather Crimson Red Bon Voyage Passport Holder. The color is so striking and bold, and I love it. The hand Passport holder was nicely packed. For all the style diva’s out there the elegant crimson is perfect. Elegance coupled with logic is the tag line and true to its statement. You can chose from the various styles for him or her. The bonus is its personalised with your name on it. What caught my attention is the price point. With its genuine leather and premium finish. I have to say this is a must have. A perfect gifting idea as well. Whats more Urby offers free shipping and easy returns. 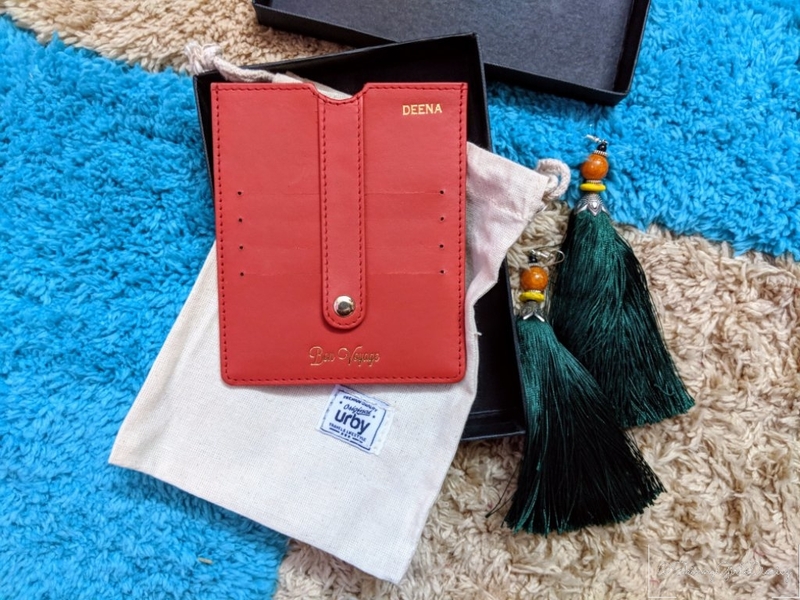 This passport holder in particular costs INR 1495, it’s worth it as they offer high quality products at non-luxury prices. As its hand crafted and customised, I love it! My passport is in good hands, all thanks to Urby. About Urby – Urby is a direct-to-consumer, lifestyle and travel accessories brand . They design and manufacture essentials for an urban lifestyle using the most premium materials and finest craftsmanship. You can also check their wide range of mens wallet, women wallets, card cases …. and many more. Here is your coupon code – SKNYGRLDRYZ17 ; it’s 10% off on the cart value; valid until 31st Dec 2017 . In Order to complete the order and gain your 10%, please email the code to support@urby.in along with the products you like to buy and the support team shall update your billing. **Disclaimer: Even though the product was complimentary, all views expressed are my own.